1. Investigate: Discover your personality, abilities, skills, and priorities. 2. Match possible careers to your personality. 3. Research potential careers to see if there is a fit. 4. Prepare a plan to pursue your career choice. Step 1 is to investigate your personality, abilities, skills, and priorities. Start by List skills, interests, talents, and what do you spend time doing. Also ask your friends and parents to list your strengths and talents. There are several online personality tests that can be helpful and fun. At www.humanmetrics.com —Take the Jung Typology Test. It is free and should take you about 10 minutes. My tests show I am an ISTJ and some of the careers listed include: Engineering and Accounting! Amazing! Those have been my two major careers! http://www.keirsey.com/ This website offers another type of personality test. It classifies people into one of four temperaments. Click on “Take the KTS-II!” in the upper right corner. It asks for an email address. After you determine your temperament, read about it and good jobs for you. www.careerkey.org—This is a fantastic personality test related to occupations. 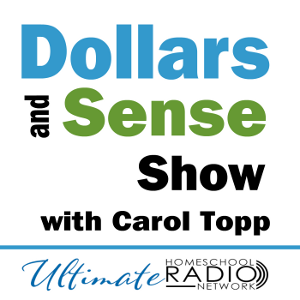 There is a fee involved of approximately $10, but it is well worth the small fee! I also recommend Career Direct from Crown Financial Ministries. It is much more in depth than the others listed above and also considers your personal values and Christian occupations. Cost $80 without a consultant or more if you desire to work with a consultant. 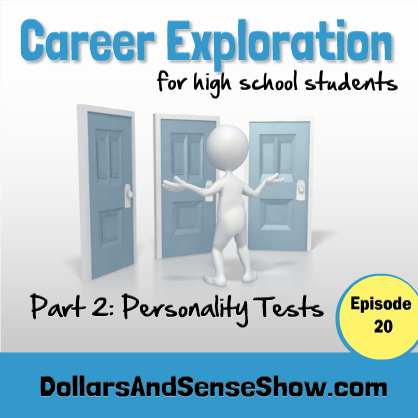 Listen in to Career Exploration Part 3, Episode 21 of the Dollars and Sense Show as I discuss how to research possible careers.